Think you can get away with it by skipping breakfast just because you are too busy? Well, think again. Breakfast is often called “the most important meal of the day” and that’s not a myth. It is actually known as such because you need to “break the fast” (hence the word “breakfast”) after spending hours sleeping throughout the night. Skipping breakfast doesn’t only makes you suffer from gastric problem or a serious case of hunger later in the day. Here are 8 Things That Could Happen To Your Body If You Skip Breakfast. One of the most common misconceptions about losing those extra sheds of unwanted fats in your body is eating less or don’t eat at all. And that includes skipping breakfast. It may sound like a logical solution but the thing is, skipping breakfast does more harm than good. Here’s why: Your body’s fuel is generally empty the moment you wake up from sleep in the morning. By choosing to skip breakfast and move on to your daily routine, you definitely need sufficient amounts of energy to sustain throughout the day. That energy itself needs to come from the source of your food intake ingested into your body. But since you neglect to have breakfast, you will likely consume more foods than you should one way or another. This is especially true when you get too hungry later in the day and chances are you wouldn’t be thinking straight. So, don’t be surprised you end up taking fatty or sugary foods that will eventually lead to weight gain. Skipping breakfast can take a toll on your body and the worst-case scenario that could happen is risking yourself in getting Type 2 diabetes. This is particularly true if you regularly avoid eating breakfast — a result that causes irregularity in your blood sugar level. According to Reader’s Digest, your brain needs carbohydrates to break down into glucose — a vital source of energy that plays an integral part in optimising cognitive function and memory. But when you skip breakfast, your overall brain health does the opposite and may affect your thinking ability negatively. 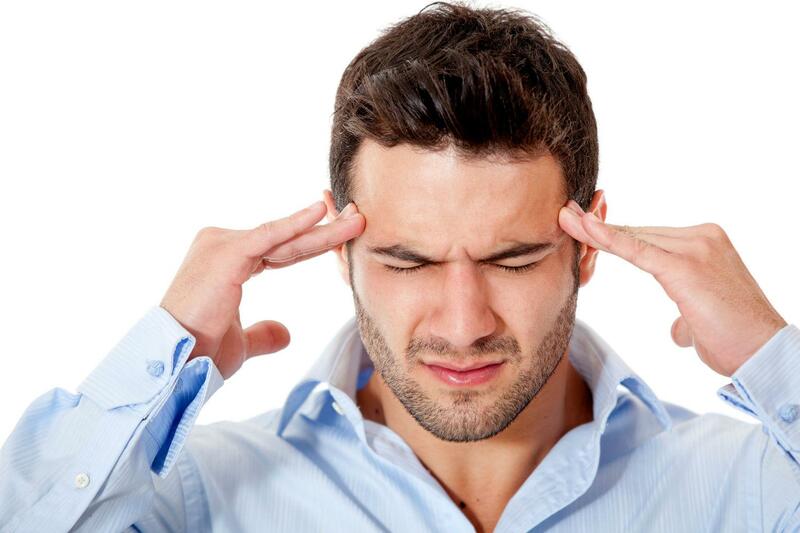 Do you find yourself regularly getting headaches or migraines? You may blame sleepless nights or stress over heavy workload in the office. But skipping breakfast or having irregular meals throughout the day can actually cause headaches and migraines. The reason? Hypoglycemia or in layman’s term, low levels of blood sugar. Which means your blood sugar takes a hit, resulting in the release of stress hormones that eventually trigger the aforementioned head-inducing pains. Not having breakfast means you are running the risk of messing up your metabolism level. This is especially true if you choose to fast for too long — a result that affects your overall body function conserving fats and energy. If that’s not enough, frequent breakfast skippers will suffer the negative impact of not burning the calories in a proper manner, particularly for those looking to lose weight. Which is why it’s important to consume healthy breakfast in the morning to regulate your metabolism level. Skipping breakfast can make you hungry later in the day. But the more you suppress your hunger, the worse it will affect your overall mental and physical health. This, in turn, makes you feel grumpy, angry and irritated. You can also imagine how negatively it goes when you are in a morning rush for work and whatnot. There’s even a term for that and it is called “hangry”, which actually a portmanteau of “hungry” and “angry” combined together. Your body needs to be fed in order to function properly throughout the day. When you frequently skip breakfast, you basically risk yourself in getting heart disease. Put it this way: You wake up in the morning and choose to forgo your breakfast meal because you’re in a hurry to your workplace. This will ultimately lead to stress and in turn, forces your body to work harder than usual. Coupled with prolonged fasting and a drastic change in your metabolism, it can also likely to increase the risk of heart disease and any related symptoms from clogged arteries to hypertension. Too busy to eat your breakfast? Then, you may increasingly run the risk of having stinky, bad breath in your mouth. How does this happen? According to Dr. Mervyn Druian of the London Centre for Cosmetic Dentistry via Daily Mail.com, skipping breakfast will “allows# odour-causing bacteria to linger in the mouth”. In order to avoid bad breath in the morning, the best method to “flush the bacteria away” is having “a piece of fresh fruit and a glass of water”.